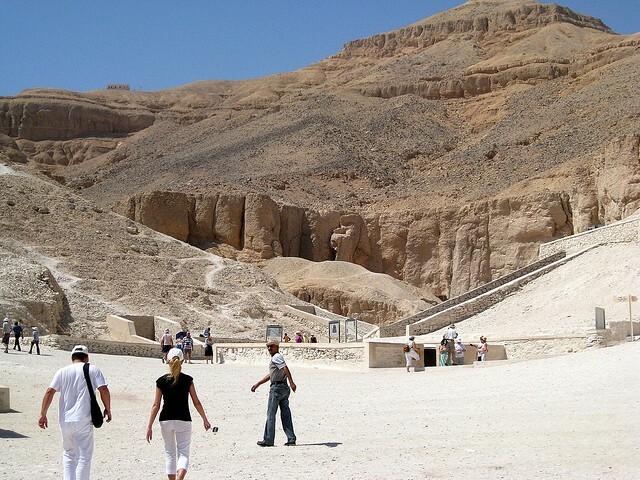 Discover the greatest Egypt nile cruise last minute deals with Egypt Travel Egypt. Our last minute deals offers you to tour the most interesting sightseeing tourist attraction in Luxor, Aswan, Edfu and Kom Ombo. Egypt Travel Representative will meet and assist you upon arrival Luxor airport and then you will be to the Nile cruise ship in Luxor for embarkation and lunch. Afternoon tea and dinner aboard the Nile cruise in Luxor. Today you are heading to Luxor, where you will be accompanied by your own Egyptologist tour guide to visit the famous Karnak temple the largest place of worship ever built. Its ancient name Ipet-isut means “the most sacred of places.” The temple, or, more correctly, the complex of temples, was built over more than two thousand years by generation after generation of pharaohs. Within the complex, the great “Hypostyle Hall” is an incredible forest of giant pillars. Then continue the tour to visit the majestic Luxor temple which was built by Amenhotep III and Ramses II for ritual and festivals, dedicated to the god Amun with some free time for shopping in Luxor, and overnight on board the Nile cruise ship. Breakfast on board the Nile cruise boat in Luxor and then you will be accompanied by your Egyptologist tour guide for a wonderful tour to visit the West Bank of the River Nile in Luxor to the Valley of the Kings and Queens, the temple of Queen Hatshepsut at El Deir EL Bahari and the Colossi Memnon, and then you will be transferred back to the cruise in Luxor. Sailing to Edfu via Esna Lock dinner and overnight stay on board the Nile cruise vessel. Breakfast on board the Nile cruise ship and then you will be accompanied by your knowledgeable guide to visit Horus Temple at Edfu then transfer to the cruise to sail to Kom Ombo with lunch on board. Continue sailing to Aswan with dinner and overnight on board the Nile cruise ship. Breakfast on board the Nile cruise vessel then you will be escorted by your Egyptologist tour guide in Aswan for an amazing tour to visit the High Dam, the Granite Quarries and the Temple of Philae with Felucca sail on the Nile to Kitchener Island and Elephantine Island in Aswan then you will be transferred to your Nile cruise boat in Aswan for embarkation with lunch, afternoon tea and overnight onboard the cruise ship. Breakfast with free time at leisure in Aswan / optional excursion to Abu Simbel out of Aswan by private air conditioned vehicle or by EgyptAir to explore the impressive temples of King Ramses II and Queen Nefertari temple at Abu Simbel and then back to Aswan with free time at leisure in Aswan on your own and overnight on board the Nile cruise ship. Breakfast on board the Nile cruise ship and sail to Kom Ombo with lunch on board the Nile cruise boat .You will be accompanied by your Egyptologist tour guide to visit the Temple shared by the two Gods Sobek and Haroeris at Kom Ombo and then continue sailing to Esna with dinner and overnight on board the Nile cruise ship. Breakfast with free time at leisure in Luxor for great shopping opportunity and then you will be transferred to Luxor airport for departure. End of our services.